Mr. Peter Plank, the founder of Tooling development. started his engineering education at an early age of 14 by entering the "HTL" "Higher technical Bundes Lehranstalt" in Fulpmes, Tirol Austria. Upon finalizing the 4 year program, Mr. Plank emigrated to South Africa, where he worked in Various capacities in the manufacturing industry. Mr. Plank educated himself further by completing various automation related subjects and a 3 year program in production Management. After 15 Years, Mr. Plank founded " Fixturing and tooling development". Tooling Development Inc, started life in 1992 as "Fixturing and Tooling Development Inc" in South Africa. Serving suppliers to the automotive industry by designing and manufacturing, tools and fixtures used by our customers in the manufacturing process. 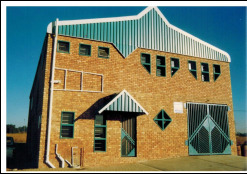 in 1994 Fixturing and tooling development moved into their custom build Factory in Apex near Benoni, Transvaal. After Immigrating to Canada at the end of 1996, Peter Plank founded Tooling development Inc. north of Toronto in Newmarket. In 2013 we relocated to Uxbridge, north east of Toronto. Kristian Plank, after completing the CNC Program in Georgian Collage in Barrie Ontario, honed his skills by working for several companies before joining the Family business in 2014. Complementing his practical skills, Kris continually educates himself by completing Automation and robotics related programs.